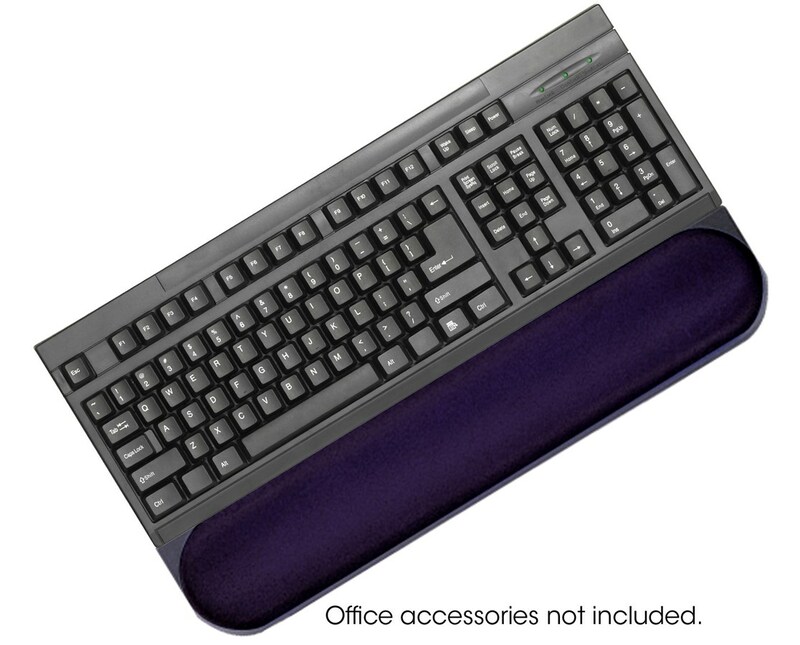 The Safco SoftSpot Proline Keyboard Wrist Support is a perfect add-on for any computer work set up by supporting the wrist for a comfortable typing. 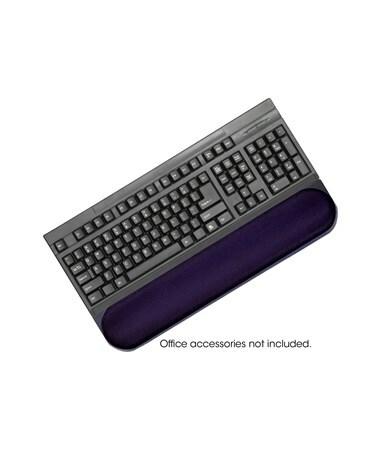 This removable keyboard pad can also be used for strengthening and stretching exercises. An illustrated exercise guide is included for proper procedures. This wrist support pad is made of Therasoft which is a durable, anti-static, and nonabrasive material that is safe to use. This material allows the weight to be distributed evenly across the whole wrist support. This accessory is also GREENGUARD certified which guarantees that it is safe for indoor use. It is packed 10 per carton. Please Note: The computer keyboard is not included.